As health care costs continue to escalate, insurance companies, policy-makers - and many health care providers - have begun to embrace the idea of more conservative approaches to the treatment of low back pain and neck pain. Two studies published in the October 2005 issue of the Journal of Manipulative and Physiological Therapeutics compare chiropractic care to medical care in the treatment of back and neck pain, with with results demonstrating that chiropractic appears to offer benefits identical or superior to those provided by medical care, while reducing many of the costs and extraneous procedures associated with the medical approach to back and neck pain treatment. In the first study, researchers examined the cost-effectiveness of chiropractic care compared to medical care for the treatment of low back pain, using questionnaires obtained from almost 2,700 people in Oregon and Washington. All of the patients were at least 18 years old, suffered from acute or chronic low back pain of mechanical origin, and saw either a doctor of chiropractic or a medical doctor for care. Practitioners in both groups employed a variety of therapies in the quest for pain relief. Chiropractic care included spinal manipulation, physical modalities, exercise plans, and self-care education programs, while medical care included prescription medications, exercise plans, and self-care advice. Approximately 25 percent of the medical patients were referred out for physical therapy. At the beginning of the study and at various times over the next two years, patients measured the severity and duration of their pain using a visual analogue scale and a revised version of the Oswestry Disability Questionnaire. At 12 months after the initial visit, patients also filled out questionnaires related to physical and mental health, and overall satisfaction with care. On average, chiropractic office costs were higher for both chronic and acute back pain patients. Analysis revealed that the office costs for chiropractic care were 78 percent to 82 percent higher than medical care for acute patients, and 52 percent to 60 percent higher for chronic patients. However, when total costs (such as referrals to other providers and advanced imaging) were factored into the analysis, the differences were much lower (22 percent higher for chiropractic care of acute patients; 16 percent higher for chronic patients). Despite the increased costs associated with chiropractic office visits, the treatment delivered by chiropractors appeared to be much more effective. At three months, there was an additional total cost of $5 for chiropractic patients with chronic low back pain, but these patients had an average improvement of 10.5 points in pain scores, and an improvement of 8.8 points in disability ratings, compared to patients treated by an MD. At 12 months, the cost-effectiveness of chiropractic care for chronic low back pain patients appeared even more evident. The average additional cost for care was $1, but with 7.3- and 5.4-point improvements in pain and disability, and a 3.0-point improvement in physical health. Even more important, chiropractic patients reported far greater satisfaction with the care they received - an average of 18.1 points higher than patients receiving medical care. "Chiropractic patients with chronic LBP showed an advantage over medical patients in pain, disability, and satisfaction outcomes without additional costs," the authors wrote in their conclusion. "Chronic pain and disability outcomes were clinically important in the short term and of lesser magnitude in the long term. ... With their mission to increase value and respond to patient preferences, health care organizations and policy makers need to re-evaluate the appropriateness of chiropractic as a treatment option for LBP." In the second study, researchers analyzed claims data from patients who suffered from low back pain or neck pain, and who were enrolled in a managed care health plan via their employers, over a four-year period. Patient data was grouped into four categories, depending on whether the managed care plan had a chiropractic benefit, and whether patients in either plan also received treatment for low back pain or neck pain. To determine whether chiropractic provided any meaningful benefit, patient claims were compared based on the following procedures: inpatient care for back pain and neck pain; CT/MRI scans related to back pain and neck pain; surgical procedures for back pain and neck pain; and plain-film radiographs. Usage rates for all of the procedures were calculated both on a per-episode basis and a per-patient basis. When the claims data was analyzed, the researchers found that "the rates of surgery, advanced imaging, inpatient care, and plain-film radiographs were all lower in the cohort with chiropractic coverage" compared to back pain patients with plans that didn't offer a chiropractic benefit. On a per-patient basis, surgery rates for patients with chiropractic coverage were 13.7 percent lower; advanced imaging rates were 20.3 percent lower; inpatient visits were 24.8 percent less frequent; and plain-film radiographs were reduced by 2.2 percent. Similar results were seen when the data was analyzed on a per-episode basis; surgery rates for patients with chiropractic coverage were reduced by 32.1 percent; advanced imaging rates were reduced by 37.2 percent; inpatient visits were reduced by 40.1 percent; and plain-film radiographs were reduced by 23.1 percent. For patients with neck pain, analysis of the claims data revealed strikingly similar results. According to the authors, "Comparing the cohort with chiropractic coverage to (the) cohort without chiropractic coverage, the rates of surgery, advanced imaging, inpatient care, and plain-film radiographs were all reduced in the cohort with chiropractic coverage." On a per-patient basis, surgery, advanced imaging, inpatient visit, and radiograph rates were reduced by 31.1 percent, 25.7 percent, 31.1 percent, and 12.5 percent, respectively. On a per-episode basis, surgery rates were reduced by 49.4 percent; advanced imaging, 45.6 percent; inpatient visits, 49.5 percent; and plain-film radiographs, 36 percent. The authors stopped just short of saying their analysis confirms that chiropractic care results in fewer surgeries and other costly procedures associated with the standard medical treatment of back pain and neck pain: "The conclusion that the presence of a chiropractic benefit results in more appropriate use diagnostic and therapeutic procedures is suggested but not proven by this study." In addition, the authors were unable to prove that chiropractic provided better levels of patient care for back and neck pain, because outcomes such as pain and disability were not included in the study design. "Among employer groups with chiropractic coverage compared with those without such coverage, there is a significant reduction in the use of high-cost and invasive procedures for the treatment of low back pain and neck pain. The presumed mechanism of this effect is the substitution of chiropractic care for medical care for the treatment of back and neck pain. The resultant chiropractic care is far less likely to lead to the use of these invasive procedures." The conclusions reached by the authors of these studies reinforce chiropractic's viability as a cost-effective treatment for both back pain (whether acute or chronic) and neck pain. Additionally, they provide significant points to consider for future studies comparing the effectiveness of chiropractic versus medical care. Office costs alone should not be considered an appropriate measurement when comparing medical care and chiropractic care. As the first study shows, the costs associated with medical care in a medical doctor's office typically do not include physical therapy, a modality which is often performed in a chiropractic office. In the opinion of the study's authors, these and other referral costs are "the great equalizers for medical and chiropractic care," and the overuse or underuse of these therapies "could have a dramatic effect on relative cost-effectiveness." Because the chiropractic scope of practice varies from state to state, the type of modalities chiropractors can use to treat back and neck pain may be limited in some instances. The authors of the first study noted that Oregon's scope of practice "included physical modalities, whereas neighboring Washington's did not." As a result, study findings conducted in one region of the country may not necessarily apply to the practice of chiropractic nationwide. Clinical outcomes are a vital component to any comparison of treatment options for a given condition. In the second study, for example, the researchers observed that because of the significant differences in procedure rates, "it is important to consider which rates represent a more optimal level of care for back pain and neck pain." However, they were unable to determine whether chiropractic care was more effective in relieving back and neck pain because, as they freely admitted, "there are simply no clinical outcomes measured in this study." These two studies add to the growing body of scientific evidence suggesting chiropractic is a safe, noninvasive, and cost-effective treatment for low back pain and neck pain, especially when compared to traditional medical care. These studies also serve as a guide for future trials and policies related to the delivery of chiropractic care. Editor's note: The abstracts to both JMPT studies have been reprinted in this issue of Dynamic Chiropractic. Complete copies of both studies are available online at www.mosby.com/jmpt. Luo X, Pietrobon R, Sun SX, et al. Estimates and patterns of direct health care expenditures among individuals with back pain in the United States. Spine 2004;29:79-86. Medical Data International, Market and Technology Reports. U.S. Markets for Pain Management Products, Report RP-821922, June 1999. 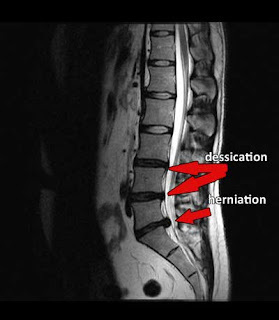 Nelson CF, Metz RD, LaBrot T. Effects of a managed chiropractic benefit on the use of specific diagnostic and therapeutic procedures in the treatment of low back and neck pain. Journal of Manipulative & Physiological Therapeutics October 2005;28:564-569. Haas M, Sharma R, Stano M. Cost-effectiveness of medical and chiropractic care for acute and chronic low back pain. Journal of Manipulative & Physiological Therapeutics October 2005;28:555-563.